What’s going on everyone! I’m back with my second interview. This one was super cool to do, I got to meet with Flash from Artistic Bombing Crew, a Chicago Graffiti legend. Flash runs a permission wall that Graffiti Artists come and do productions on. The Walls are located right at Fullerton & Milwaukee. While riding the CTA Blue line, you are able to see the walls in between the Logan Square stop & California stop. 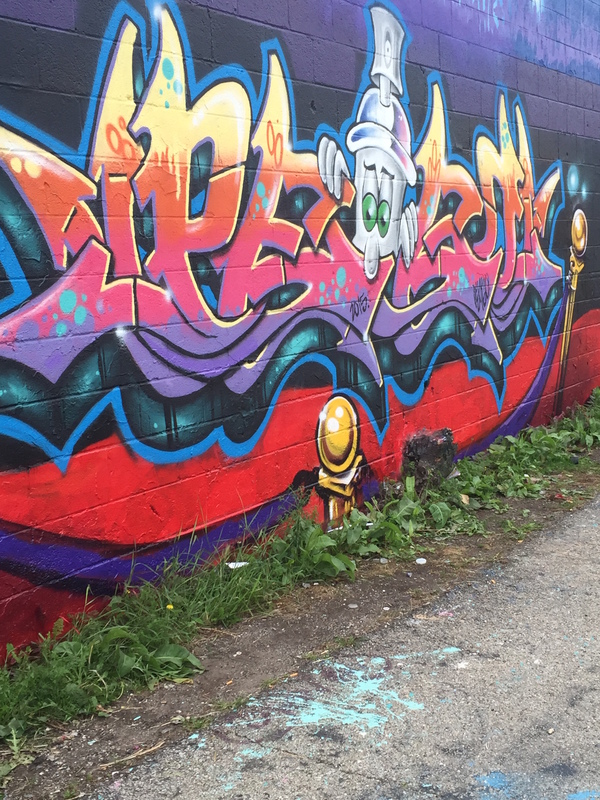 So check out the interview and if you’re ever in Logan Square, come by and check out the beautiful murals done by artists from all over the world! Me: What’s going on Flash, pleasure to meet you, thank you for taking the time to do this. Introduce a little about yourself, “to those who have never heard of you”. Flash: Of course, no problem. Sup everyone, I’m Barry, AKA Flash from Artistic Bombing Crew. I’m an old school Graffiti Artist. 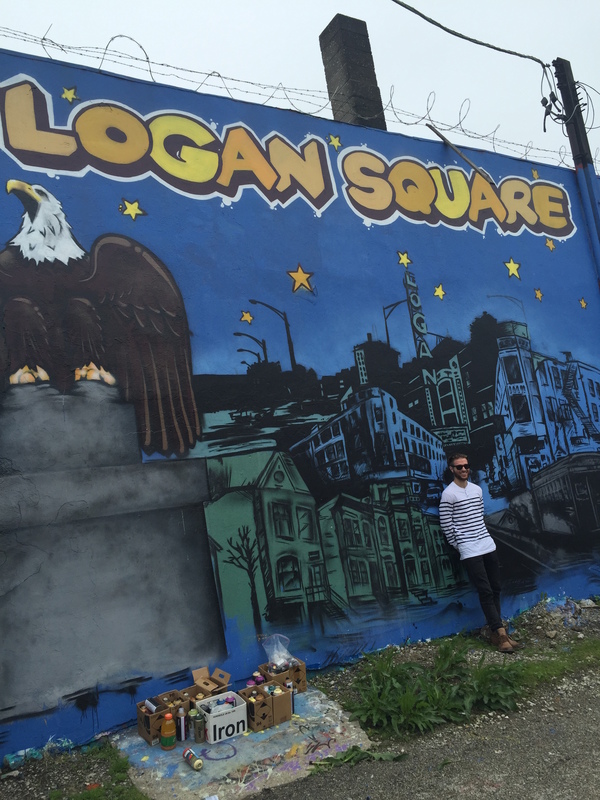 Born & Raised in Logan Square. Me: How did you get into Graffiti? When did you get into ABC crew? Flash: I got into Graffiti around 1983-1987. My friends would do poorly in school so the school would transfer them out to New York or Puerto Rico. While my friends were in New York they started seeing Graffiti and the scene out in New York, they would come back to Chicago and tell me stories on how it was. During the time I was growing up, Chicago was more focused on Gang culture, there really wasn’t a graffiti scene out here yet. My crew, ABC started on Whipple & Schubert, the letters ABC came from the 3 original leaders of the crew, Angel, Berto,& Chris. Me: Who were the first Chicago Graffiti crews? Flash: The first two crews was ours (ABC), and CTA, known as Creative Team Artists. CTA was started by Nick Salsa and at that time the only way you could get in was if you were originally from New York. Me: When it comes to Chicago Graffiti, do you believe we have our own style? 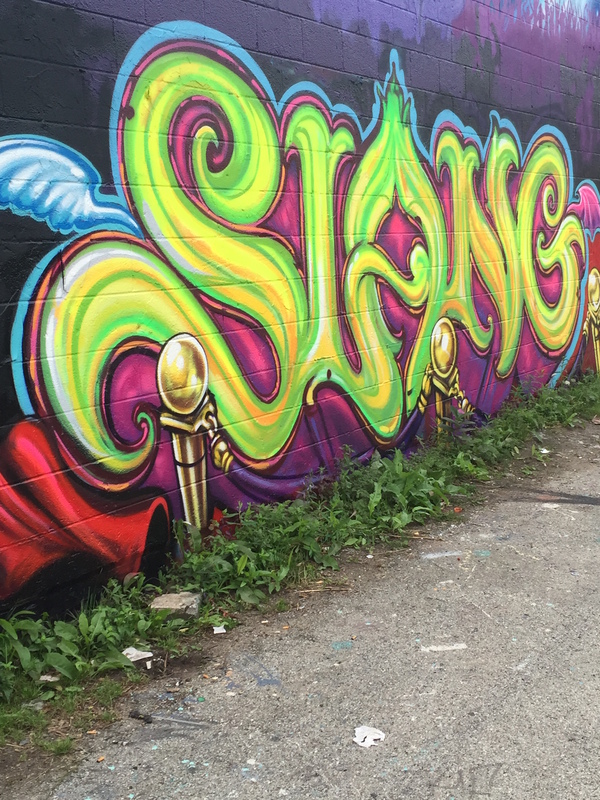 Flash: Yeah, I would say so, when it comes to Chicago Graffiti you tend to see we use a lot of different colors and blends and we have a distinct letter structure here in Chicago. We started to use a lot of different colors and blends because when we were growing up all we saw were certain colors like black and blue and others due to all the gangs. We wanted to branch away from that and make vibrant pieces and just use as many colors together as possible. Me: Has Graffiti changed throughout the years or do you believe it’s still the same? Flash: Graffiti is always changing, if not, it’s not graffiti. Graffiti has changed a lot due to artists coming in and out of town bringing their styles and techniques here. Also since the birth of the internet, it has made it easier for people to create new styles. Me: What life lessons have you taken away from doing graffiti? Flash: What life lessons have I taken away from graffiti… Hmmm… I’d say the will to finish and complete a task. A lot of people tend to just think this is us just putting up whatever we want. It’s not like that all, it’s all about the structure and putting a production together……and for FREE too! Me: What do you have to say for those who say running up to somebody’s property and defacing it isn’t art? Me: What’s your whole take on the whole Street Art vs Graffiti argument? Flash: I like this question, you ready, here is how I feel. Street Artists are really just Graffiti Artists. 90% of those people who labeled themselves as “Street Artists”, once were Graffiti Artists. The term “Street Artist” is basically a term or a label that the Art Galleries use to pick and choose the artists they want to put up in their gallery. 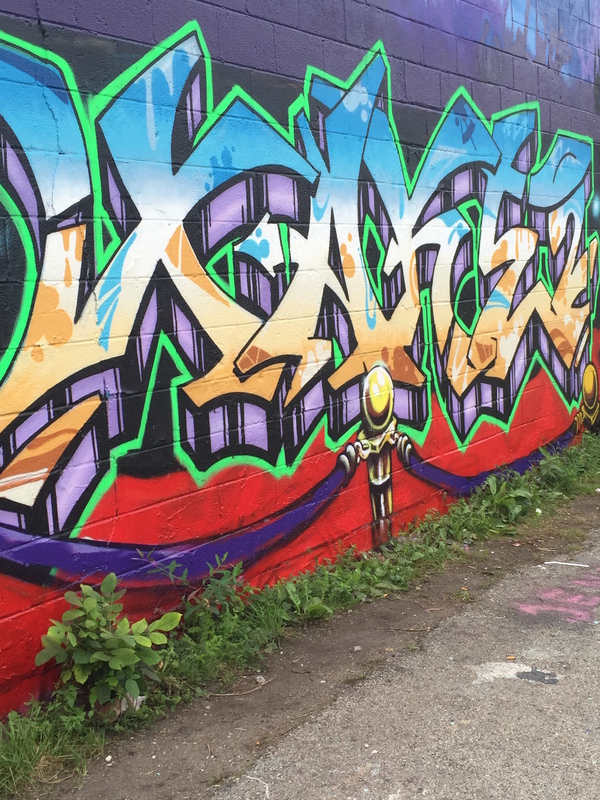 Street artists basically just graduated with a fine arts degree from Graffiti. What we need to start doing is categorizing ourselves and not letting the galleries categorize us. At the end of the day, whether you do Graffiti, or whether you do Street Art, it’s all Art, and people need to remember that. Me: Exactly, Art is Art, at the end of the day you’re an Artist and that’s it. So Project Logan, explain a little bit about that, why did you start it up and what do you look to achieve with the project? Flash: Project Logan is a permission wall(7) that is located on the corner of Fullerton & Milwaukee in the Logan Square neighborhood. These walls are for Graffiti artists to do productions on. For the last 30 years, Chicago Graffiti has been growing, and I wanted to do something to display that. 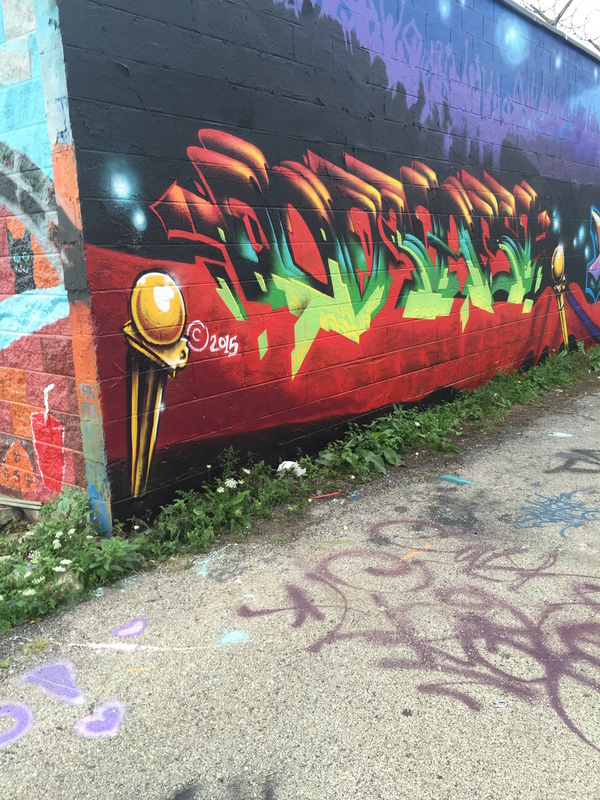 Since 2003 I have been documenting graffiti, I go all the way from 22nd and Kedzie all the way up to 63rd. On every block, I would see Graffiti walls and thought to myself, why don’t we have something like this in Logan Square where a lot of Chicago Graffiti history originated. I got together with Any Square artist and a good friend Tracy to maintain ladders for Artists to paint the walls. I got very lucky that I got to contribute back to my neighborhood. I started here as a vandal and now I’m able to bring artists from all around the world to paint here. It’s a complete honor to me, I take what we do here very seriously. We are just showing what we have been doing all along. Well, one of the coolest things in my opinion is that something I started up has now attracted Artists from all over the world to come paint the walls. My goal, of course, was to display the Art, but also to improve the area of the wall as well. In 2011, we removed 82 beer bottles, 8 drug needles, and 10 bags of garbage. The second year we removed 50 bottles of beer, no needles, and 7 bags of garbage. This got done with the help of my family, my friends, and the artists that were painting on the walls. The reason people contributed and helped was because they believed in the Art and the direction where things were going. Me: That’s awesome. When I first moved here while exploring the neighborhood these were the first walls I seen. Every time I bring my friends or family down to Logan Square, these walls are the first thing I always show them. The coolest part is the fact that each month you walk by you see a different piece of work on each wall. Its amazing. I was always wondering, do you pick the artists yourself, or do the artists reach out to you to do a piece on the walls? Flash: That’s awesome! Glad your friends and family enjoy them just as much as you do. Yeah, the rotation is what keeps people coming back and checking the walls out. It keeps people interested. When it comes to artists painting the walls, I have never turned down an artist who has asked to paint the walls. I do have preferences because I like to see a crew come in and put their production together. When it comes to these walls, I don’t want people who just want to run up to the wall and bounce. The people who have painted these walls truly care about the wall. They have picked up garbage with no questions asked, pulled weeds, and worked with the neighbors. We work with the people that live there to make sure they are not bothered. Me: Any shoutouts you would like to give? 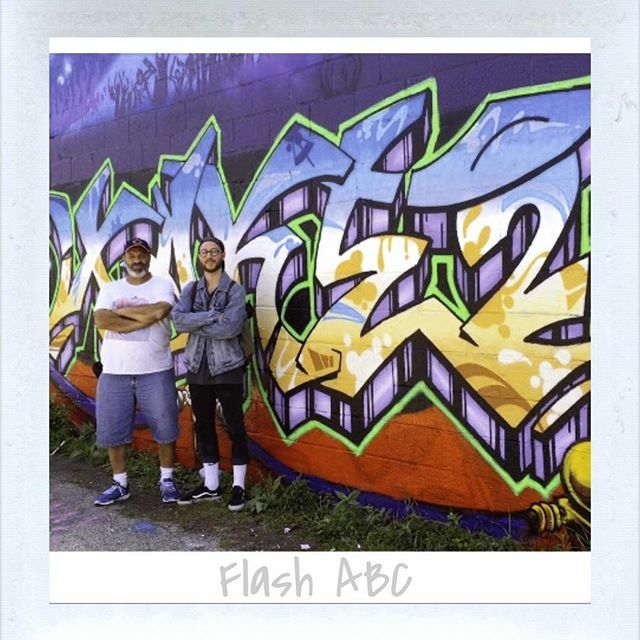 Flash: Shoutouts to the whole ABC crew, Scene, Take2, Pilot, ABC Girls, shoutouts to any artist who have painted here and support me, all the people who worked with me, and of course shout out to Logan Square. Thank you! Here are some pictures of the wall I have taken since living here.